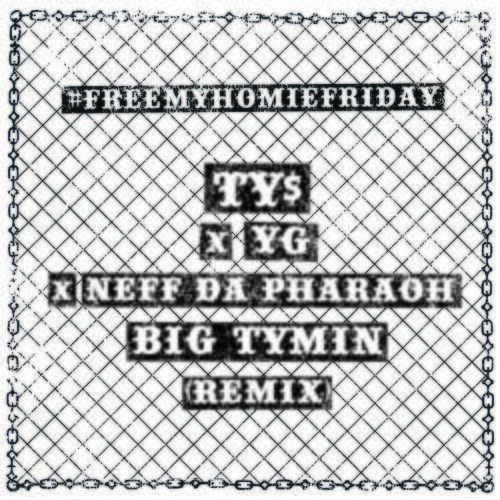 Ty Dolla $ign and YG team up with Nef The Pharaoh for a remix of his track "Big Tymin'." Nef The Pharaoh has arrived. The Bay Area newcomer already had a big underground hit on his hands with the old school Cash Money-referencing "Big Tymin'," but now it's gonna blow up. Why? Ty Dolla $ign and YG have teamed up with him for a remix. With two L.A. mainstays joining a Bay Area rapper on an homage to New Orleans bounce music, you may think that things would get muddled with all of the different regions colliding, but in actuality, it only goes to show how sonically connected all three scenes are. The only downside? The fact that they spelled Nef's name wrong on the artwork (he spells it with one F, not two).